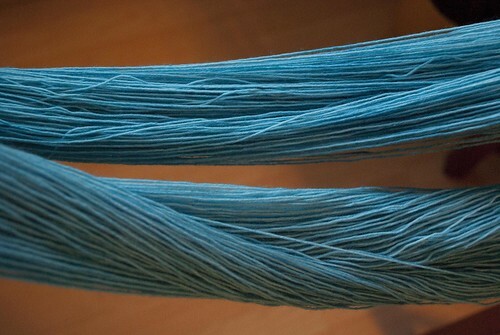 February 25, 2010 Adri H.
A light blue that didn't exist until I hand-dyed it earlier in the week. Here is the story, in photos, of it's birth. I'm calling it bluebird. 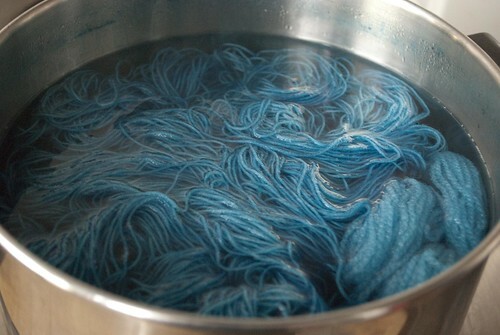 First it was a hank of Wollmeise 100% Natur, and it was subject to trial by fire in a hot pot of near-boiling water with a bit of Ashford dye. After the hot came the cool water phase where it began its transformation into bluebird. And once cooled and left to dry out, it was twisted and coiled into a skein. 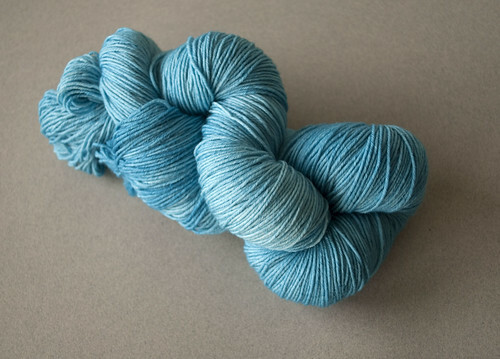 Behold, the little bare undyed hank with so much potential, that is now, bluebird. Yay! 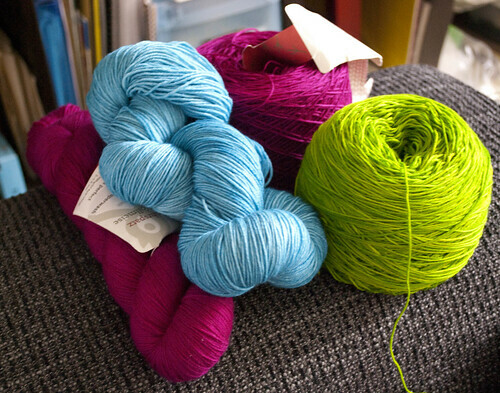 I can't wait to knit it up.